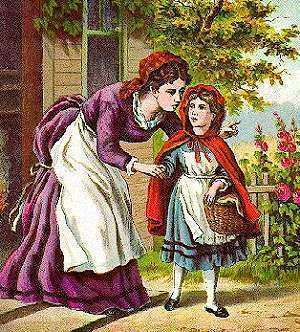 Little Red Riding kofia. . Wallpaper and background images in the Fairy Tales & Fables club tagged: fairy tales little red riding hood illustration hans christian anderson. This Fairy Tales & Fables photo contains anime, comic kitabu, manga, cartoon, and mkono. There might also be kirtle, surcoat, and polonaise.